The Sunday evening fixture will see another massive fixture in the race for the Champions League spots. 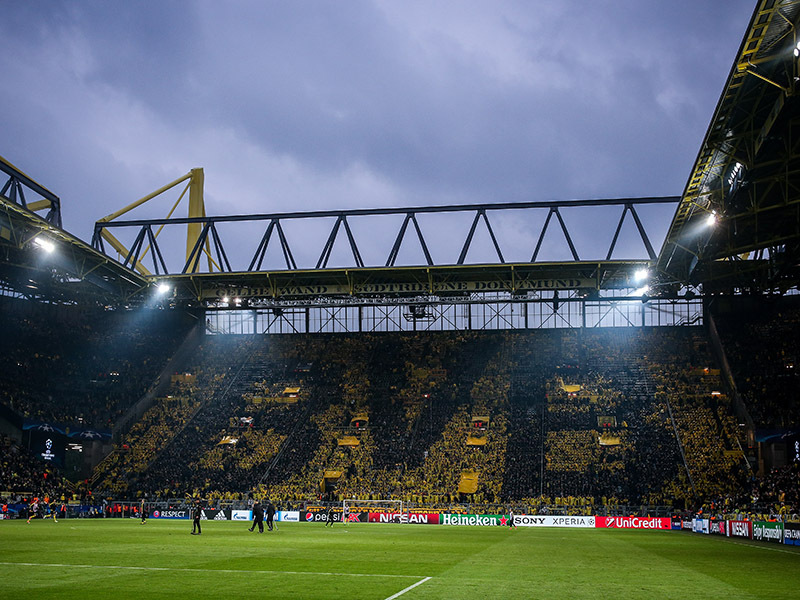 Third-placed Borussia Dortmund are hosting fourth-placed Eintracht Frankfurt with both teams on 42-points this will be a big fixture between two clubs on even footing. Eintracht Frankfurt, in fact, will go into this match with an advantage. Dortmund were in midweek action in the Europa League against Red Bull Salzburg where they sustained their first ever defeat to an Austrian club at the SIGNAL IDUNA PARK. It was a bit of an embarrassing result for BVB’s Austrian head coach Peter Stöger in a game that laid bare many of the weaknesses of his Dortmund side. Although Stöger remains undefeated in the league and has collected 20-points in ten games – a pace that puts him on Champions League course – Dortmund have looked flat at times. Against Salzburg, Dortmund lacked creativity in every part of the selection and found it difficult to break down a dynamic, but for Bundesliga standards, limited side. Dortmund’s inability to break down well-organised sides bodes poorly for when they host Eintracht Frankfurt on Sunday. Coached by Niko Kovac Frankfurt have been one of the biggest surprises of the Bundesliga season. Well organised and with an aggressive approach to the game Frankfurt will be well suited against this Dortmund side. Preferring to play in a 3-5-2 formation Frankfurt have the confidence to break down attacking sides and quickly spring on the counter-attack, not unlike what Salzburg did on Saturday. 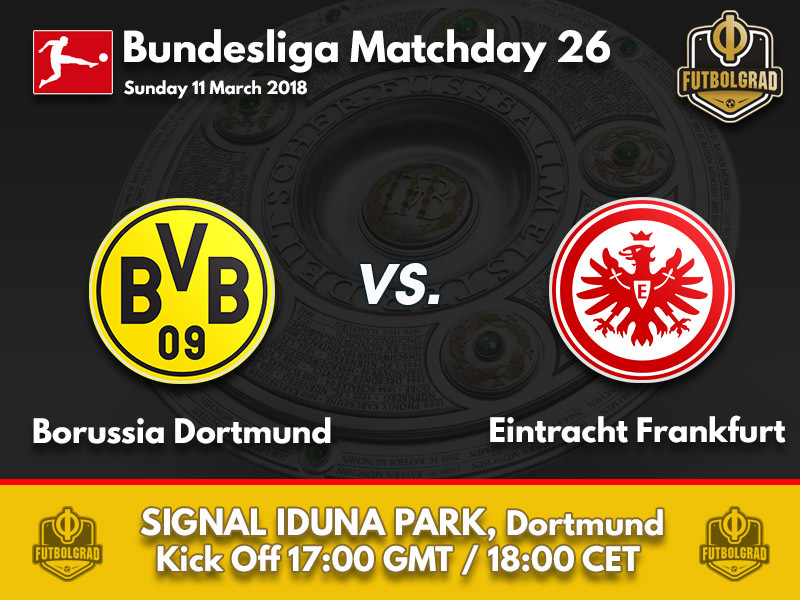 Up front, Frankfurt also have a positive game plan, and with Dortmund struggling to deal with aggressive teams this season it would not be a big surprise for Eintracht Frankfurt to collect all three points on Sunday. It would be a major hit for Dortmund’s Champions League aspirations but might be the wake-up call needed at this stage of the season. All the eyes will be on Marco Reus on Sunday. But while the German national team player has made headlines by signing a new contract, it will be Michy Batshuayi who will be the key player. The Belgian striker had a sensational start to life in Germany with three goals in the first two games, but in the last three Bundesliga games has been left off the scoresheet. 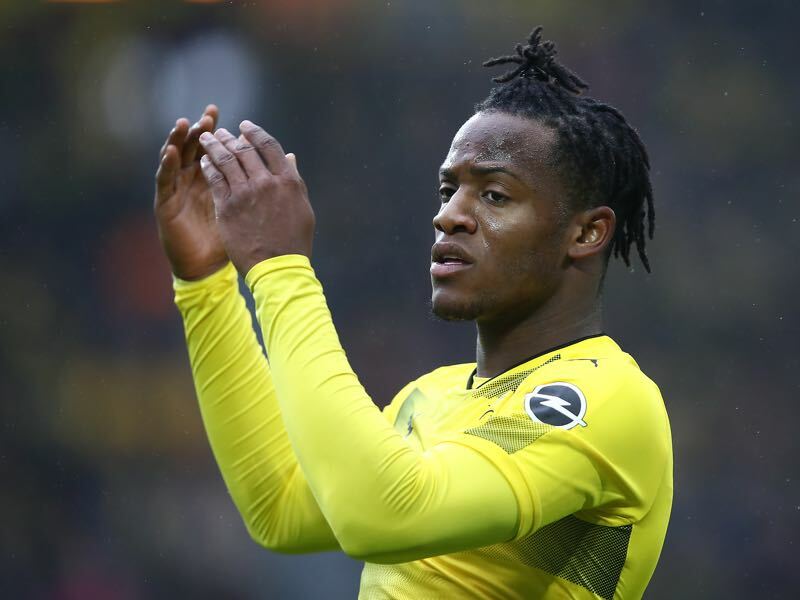 Dortmund need Batshuayi to be at his best if they want to get anything out of the game against Frankfurt. “If Marius Wolf doesn’t become a national team player I will stop playing football.” Those were Kevin-Prince Boateng’s words just a couple of weeks ago. A Nürnberg and 1860 München product Wolf is a typical street footballer, who faced adversity to reach the top level in the Bundesliga. Banned to Hannover’s second team just a year ago Frankfurt signed him on loan and then made the deal permanent for just €500,000. Wolf is the sort of signing that has propelled Frankfurt to the top – a talent who was not valued somewhere else, who has made a significant step forward under Kovac by scoring four goals and six assists this season. Dortmund are on the verge of losing their 150 Bundesliga game at home. Only Bayern and Leipzig have a better on average home record than Dortmund. Every game between Niko Kovac and Peter Stöger ended 1-0. Kovac won his home game last season, and Stöger (with Köln) won his home game.